A report is saying that seven-time F1 champ Michael Schumacher has come out of a coma and recognized his wife. However, another journalist is saying the report is false and lacks credibility. According to RT’s Spanish edition, his manager Sabine Kehm said that he was out of the coma, but this could not be confirmed. Kehm said that she could not elaborate further out of respect for his family’s privacy. Kehm said he was in a complicated process of recovery, and he was alternating between sleep and consciousness. 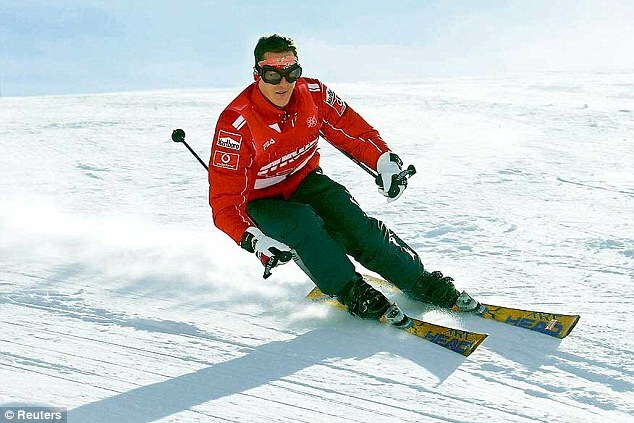 Schumacher was hospitalized on Dec. 29 after he suffered a head injury while skiing in the French Alps. The 45-year-old ex-champion was placed in a medically induced coma after he suffered the head injury. Bild journalist Nicola Pohl said that the RT report is fake. “Schumacher awake? Sorry, but those Rumors from Spain apparently not true. Kehm just texted me she hadn’t confirmed anything to RTL,” Pohl said wrote on Twitter. She also wrote: “No, it’s NOT true!” in reference to the story. A few days ago, Kehm, said that he appears to be recovering, albeit slowly. “Michael is making progress. He is showing moments of consciousness and wakefulness. We remain confident,” she said, according to German media reports.